This lovely lad really was hours from being put to sleep in the dog pound. We got him out and transported him to a place of safety. We have called him Ted because he is like a big teddy bear. No history at all but he seems a big friendly dog that likes other dogs. He has sore ears which we are treating. Lucy is only a year old but has been in kennels since she was about 3 months old. She lost her tail in an accident and her owners didn't then want her. 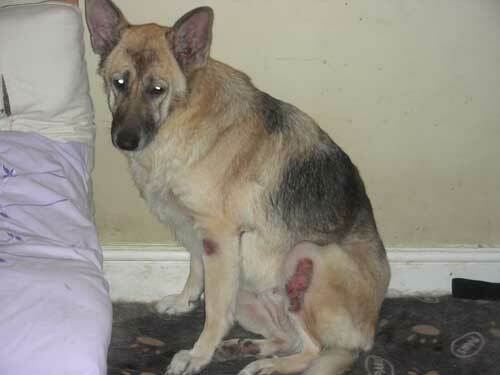 She also has pancreatic insufficiency which is controlled. Her foster carer took her in because he was worried that she was going to be put to sleep. Read Lucy's details. 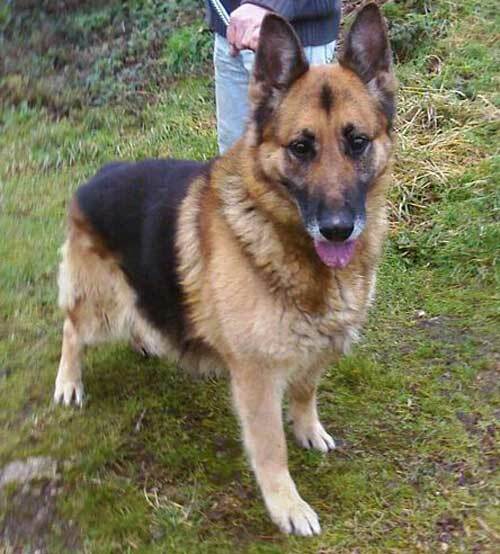 Thor's owner died and left him and his friend Radar a GSD who was put to sleep. Thor has spent many weeks in kennels alone wondering what he did to deserve this. He is in a temporary foster but urgently needs a home. He is a wonderful friendly dog who is fine with other dogs and loves to be fussed. He has been neutered and is in fine health. Thor will be a wonderful companion. Poor Sparky is desperately looking for a new home after his owner died. He is a lovely big old fashioned type and a real gentleman. In kennels for nearly a year. This poor girl does not deserve to end her days in a kennel. 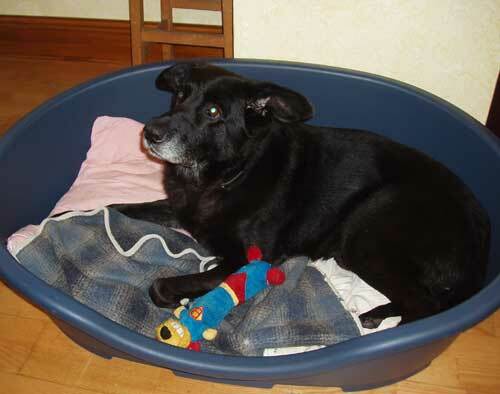 Although I am 10, I am still very active and like to go on long walks and play with squeaky toys.I can be re-homed with children over 10 years old and can be ok with male dogs but not females. We couldn't leave this gorgeous older gentleman in the dog pound. He has obviously been loved in the past as he is really in pretty decent condition. However, he has got aching joints and wobbly back legs. He was wandering around in the stray kennels whilst a little Patterdale terrier was trying to play with him. He gets on with everything and everyone. Chas gets very stressed so he cannot be left at the moment, at least not for a while. 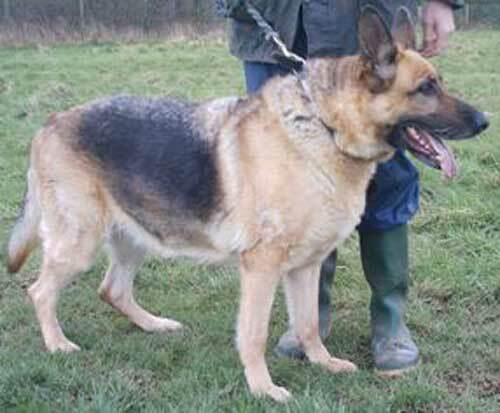 This may be something that will settle but German shepherd dogs just hate to loose their owners and to be in stray kennels with all those dogs, and no human comforts and affection - he was very upset. He was very clean in his kennel and didn't pull his bed around. He is really happy to carry a ball around, and someone has obviously played with him with one in his earlier days. 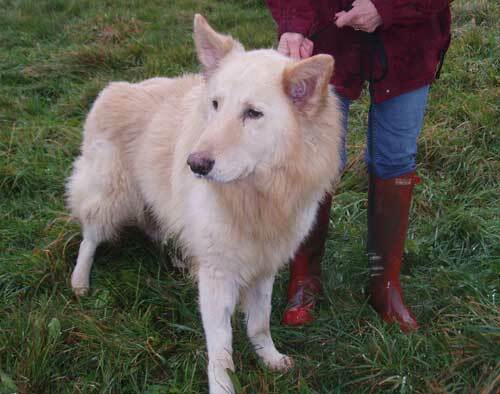 We are looking for a home where the family is used to this large breed. Where they will be around for most of the day and give him time to adjust and settle in. Chas has a fantastic temperament, and very trustworthy - however, we wouldn't want to rehome him with a young family as he needs the quieter slower lifestyle now. He would happily share his life with another older dog as well and mixes with both males and females. He doesn't have a nasty bone in his body. For those that still don't believe that the hell hole dog pounds exist - this dog was loaded onto the same van that saved Joe. Both were scheduled for destruction last week. There is no life in his eyes, he did not wag his tail when our volunteers went to assess him. This dog does not understand why he is unloved and unwanted. He needs a lot of TLC to help him forget his past. 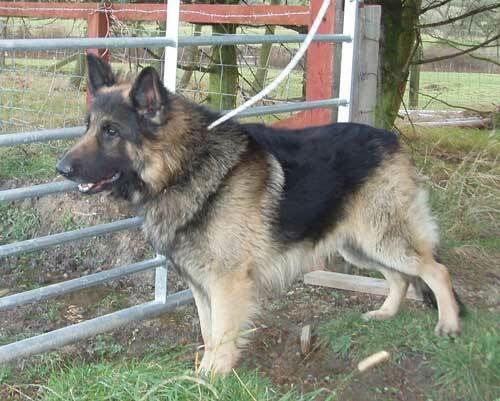 He is safe in kennels but needs a home quickly. Little is known about him. 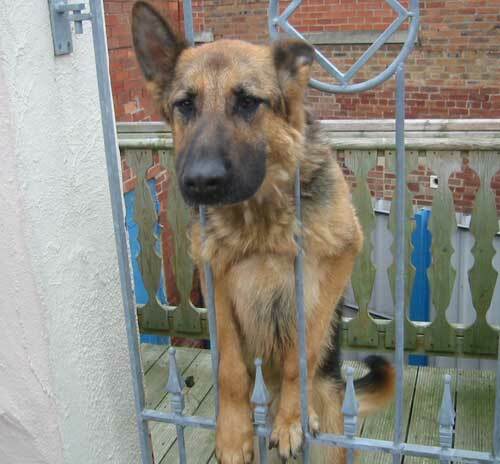 This beautiful dog has been kept as a guard dog. He isn't very good at it as he is a big softie! He lives with Tasha. The owner has gone bankrupt and the dogs are no longer required. Sabre is boisterous and barks when you go in but a really nice temperament, he would benefit from some training and owner said he would be easy to train. Urgent home needed. Molly - NE. What a difference a few days makes! Poppy is very stressed in her current home. She is 5 and gets on with other dogs but not cats. 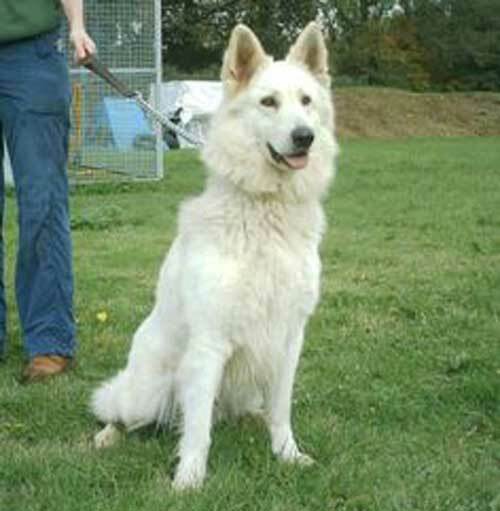 Annie was originally abandoned in kennels when her owner never came back for her. She spent last Christmas in kennels and it looks like she will spend this one in there too. Whilst she has been in these kennels the staff thinks she is wonderful. 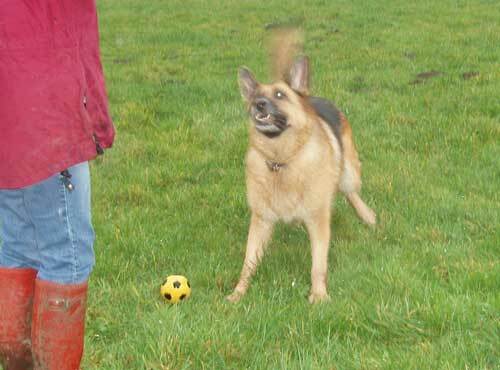 The staff at the kennels love her to bits and she likes them all too. A volunteer has been to see her several times and taken her into the paddock and played ball with her. She likes the squeaky toys, she will let you take them off her although she would like to hang onto them. She shows no aggression. She will chase the ball as long as you will throw it. She walks well on the lead. A volunteer has also groomed her whilst she was playing with her. They sat on a seat and watched the world go by she was happy to sit there. Our volunteer loves Annie and would like her to find a home for ever - she doesn't deserve to be in a kennel. 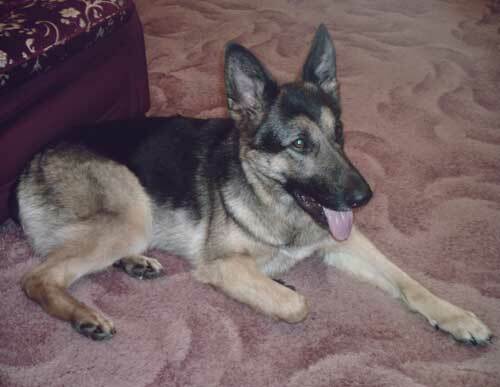 This beautiful girl has been kept as a guard dog. The owner has gone bankrupt so she is no longer required. 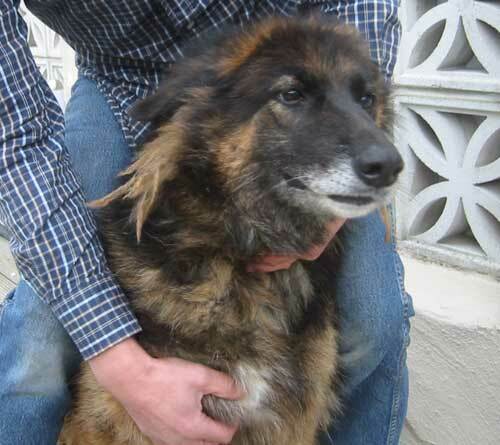 Tasha is very quiet and gentle and really just wants a nice family home for her last few years.